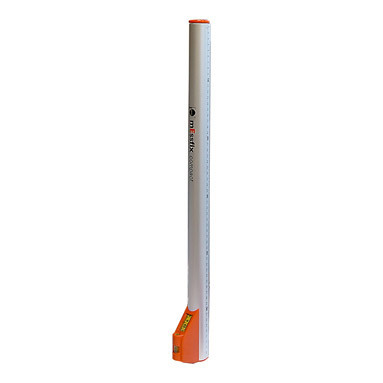 Lighter & more compact version of the famous Nedo Messfix telescopic measuring rod. Measure interior dimensions quickly and easily with this lightweight but sturdy, handy measuring rod. Simply place the Messfix Compact in position, pull out the round extending sections and read the measurement from the analogue display. The display is at the foot of the measuring stick so it is at eye level when measuring windows. 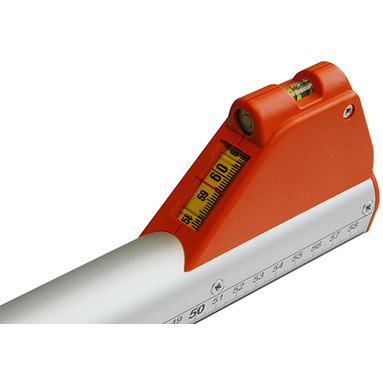 A two-way spirit level bubble is integrated into the housing to facilitate correct positioning. With carry case & 1 year guarantee.